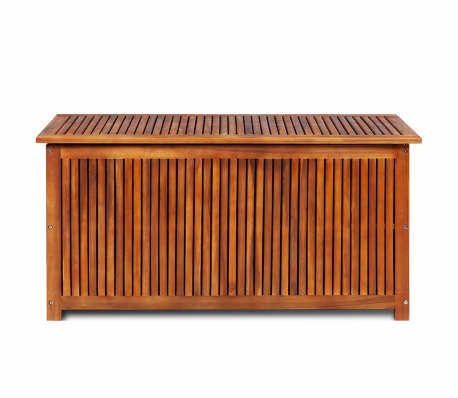 This deck storage box will make a great addition to any outdoor living space, and it will help you to keep clutter at bay. 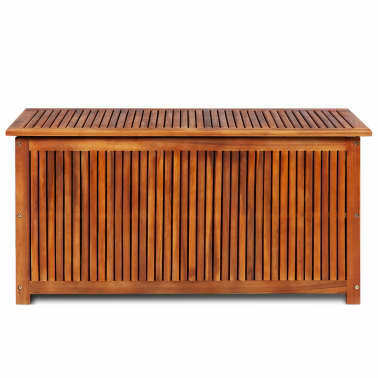 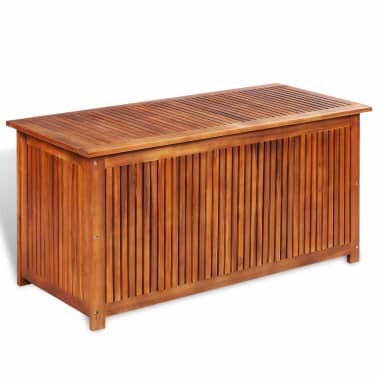 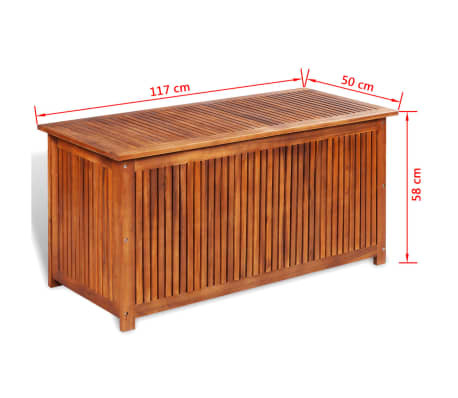 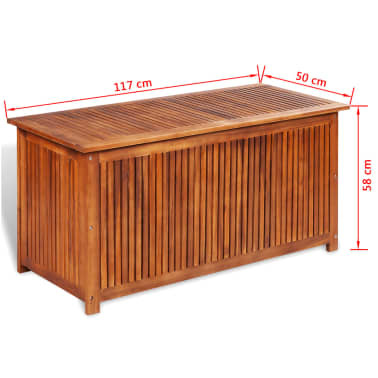 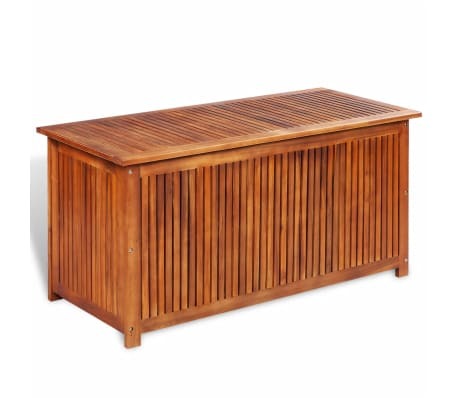 This sturdy storage chest is crafted from high-quality acacia wood, a tropical hardwood, which is weather-resistant and highly durable. 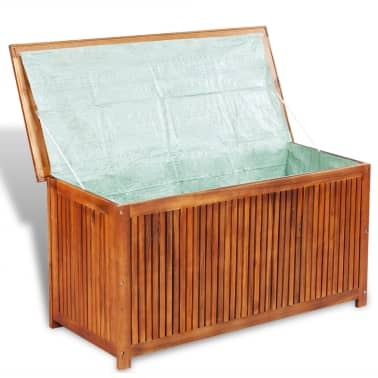 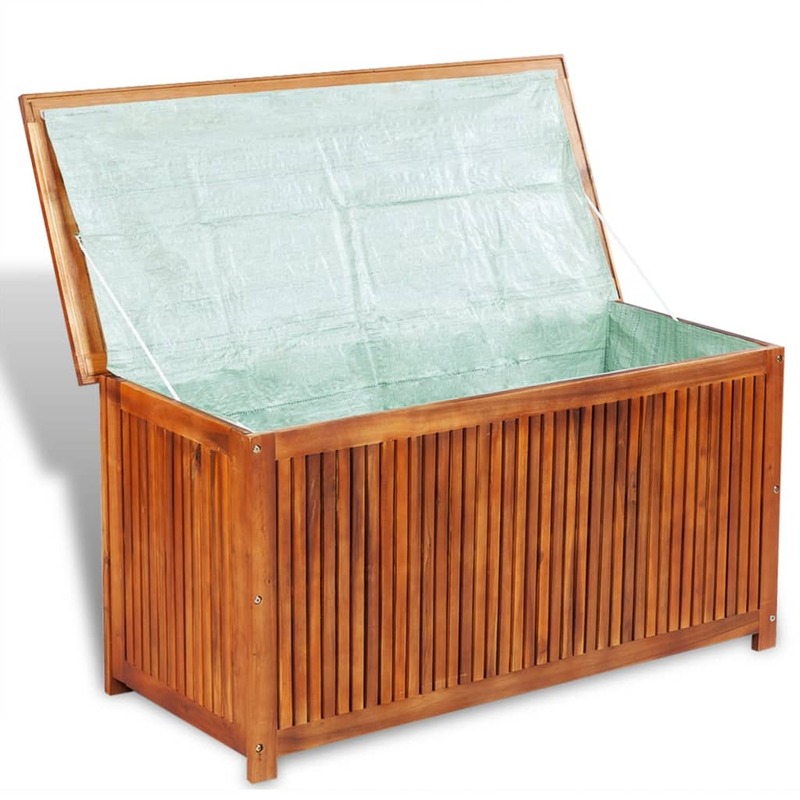 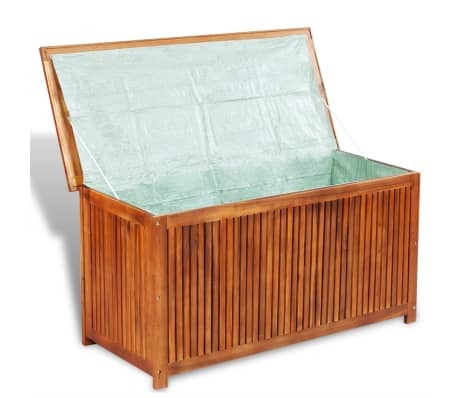 Thanks to its waterproof lining, this spacious chest can be used for storing cushions, kids’ toys, tools, and other garden accessories, while keeping the contents organized and dry.